Marvel, Stranger Things, 13 Reasons Why, Santa Clarita Diet, Mystery Science Theater 3000, it seems that Netflix is suddenly becoming the go to media empire for sheer awesome, so how do you follow up a string of successes like that? 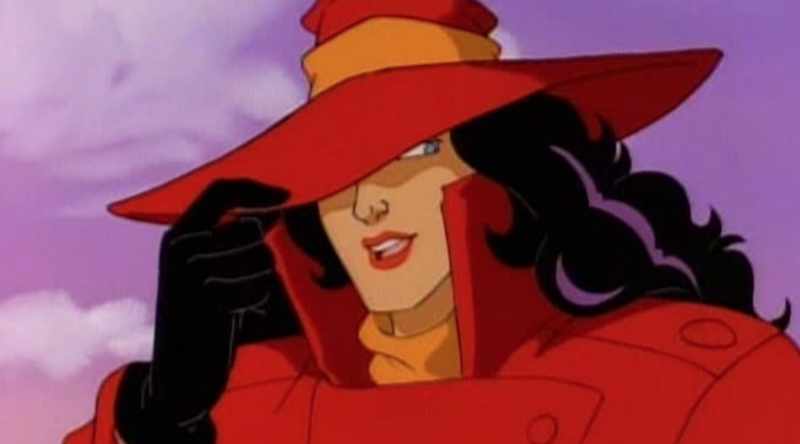 Well, they bring back the Queen of 80’s Thievery, Carmen Sandiego. Little is known about the show at this stage except that it will be animated and will follow closer to the legendary edutainment games from the 80’s. However they do have decades of material to pull from from animated shows, game shows and chose your own adventure books. The Tracking Board is also reporting that Netflix has signed none other than Jane The Virgin’s Gina Rodriguez to voice the globe hopping, landmark pilfering master criminal herself.